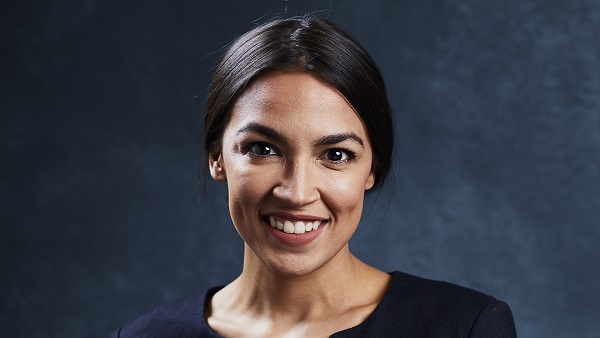 Alexandria Ocasio-Cortez photographed by Jesse Korman, October 20, 2017. Much is always made when attractive young people, male or female, gain victories in primaries or general elections against older opponents. It is not, perhaps, a coincidence that many of those emphasizing such “qualifications” are television journalists whose major assets are their appearance or pleasing personality, or Hollywood figures whose looks are their livelihood. What’s missing in this equation is the actual content of their political message. A clear example comes from the coverage of the upset Democrat primary victory of young, pretty, socialist Alexandria Ocasio-Cortez, over Joe Crowley, who was a major powerhouse in Congress. The extensive emphasis on Ms. Ocasio-Cortez’s youth drowned out the fact that the political philosophy she espouses, and the solutions she has proposed, are disastrous, with a clear and overwhelming record of utter failure. If you like what’s happening in Venezuela, you’ll love what Ms. Ocasio-Cortez wants to do in America. The incumbent Ocasio-Cortez defeated in a lightly attended primary was, himself, a standard example (albeit much older) of a left-wing empty suit. He parroted all the clichés of that perspective, but with less zest or appeal. Ms. Ocasio-Cortez is not alone. In a Nebraska swing district, progressive neophyte Kara Eastman beat another established Democrat figure. Others will follow. For far too long, American politics has had all the intellectual heft of a high school election for prom king and queen. For eight years, the totally cool Barack Obama held the country and the press in thrall, despite his stunningly bad record of economic failure, his massive waste of taxpayer dollars, the most failed foreign policy of any post-WWII president, and a horrible habit of emphasizing racial division. But he was cool, so none of that really seemed to matter. Part of the dilemma is the crossroad Democrat leaders found themselves in. Over the eight years of the Obama Administration, the leftists who had assumed power in the party were able to give their platform a truly substantial chance. It failed, and failed utterly. The party had two practical options in its aftermath. One was a return to a more centrist position and become more in line with past leaders such as Presidents Harry Truman and John Kennedy, and senators such as Daniel Patrick Moynihan and Henry “Scoop” Jackson. That would allow it to reclaim its blue-collar base but would have lost the enthusiasm of people like Ms. Ocasio-Cortez. It chose to become even more radical, as extremists such as DNC chair Tom Perez and Vice Chair Keith Ellison assumed power. The cool kids stayed on board, but the centrists withdrew. Much of this tendency arises from the failure of our educational system. In what (very) little substantive instruction in history our students receive in the younger grades, and the biased perspectives they are subjected to in higher education, it is the emphasis on cool rather than on real that pervades. You just don’t see many Ronald Reagan posters in college dorms, but the murderous Che Guevara is often seen, despite both his personal failings and those of the political system he espoused. Tell the legions of Ocasio-Cortez and the self-proclaimed ultra-cool ANTIFA supporters about the blatant comparisons of North and South Korea, of East and West Germany, of the USSR and the USA, and you will get an eye-roll and a smattering of bumper-sticker clichés in response. That’s truly worrisome. Cool is perhaps part of growing up when you are young and bear few responsibilities. But sooner or later you have to grow up and comprehend the reality that real world problems require real world solutions that actually work. Families seeking to put food on the table can’t eat cool, and the aggressive leaders in Moscow, Beijing, and terrorists from elsewhere won’t be kept at bay by young and pretty. Frank Vernuccio serves as editor-in-chief of the New York Analysis of Policy & Government (website usagovpolicy.com). He is the co-host of the syndicated radio program, Vernuccio/Novak Report, and is also a contributor to Fox News. His columns appear in many newspapers. After graduating Hofstra Law School, he was a legislative editor for a major publishing company, then served in both Republican and Democrat Administrations. Following the 9/11 attack, he was appointed to run the hard-hit Manhattan branch of the New York State Workers Compensation Board.